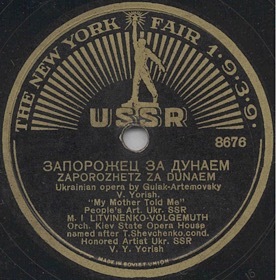 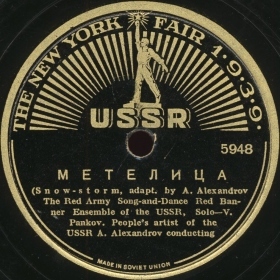 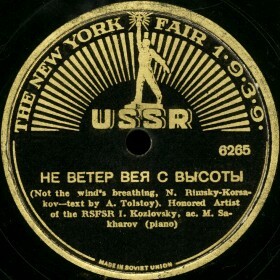 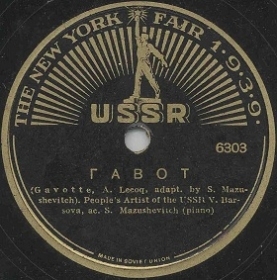 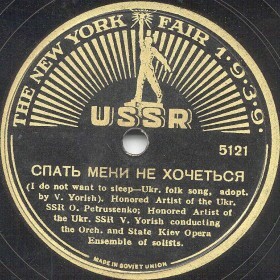 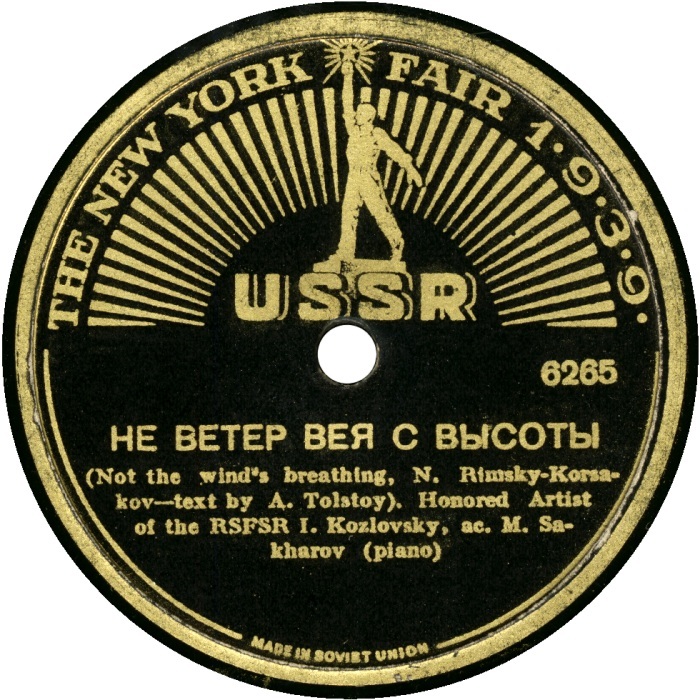 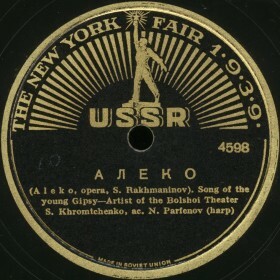 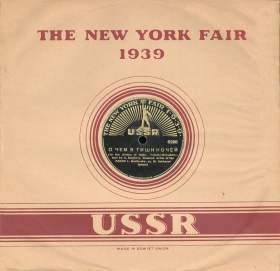 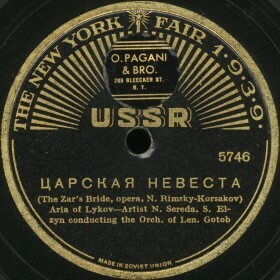 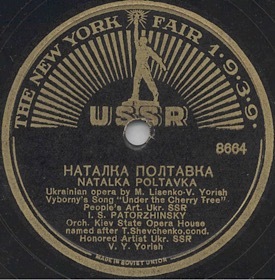 In 1939 in New York took place the World’s Fair and Soviet Union participated in this event. 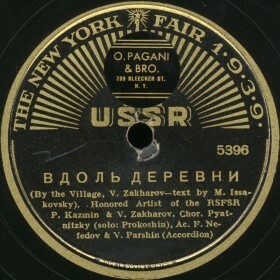 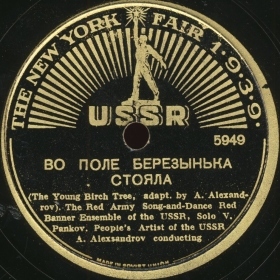 Soviet plants made special issue of more than 100 thousand records with selected repertoire for distribution in Soviet pavilion. 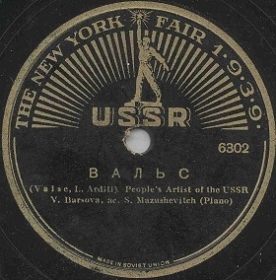 The label depicts a statue of Soviet worker holding a star created by sculptor Vyacheslav Andreev. 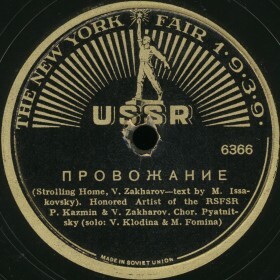 The statue crowned the USSR pavilion. 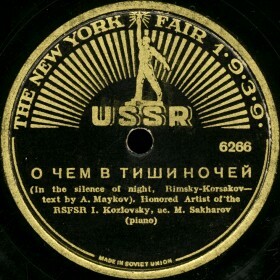 Later. 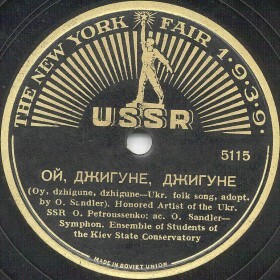 the records from this special issue were reissued by American company "Stinson" with similar label.